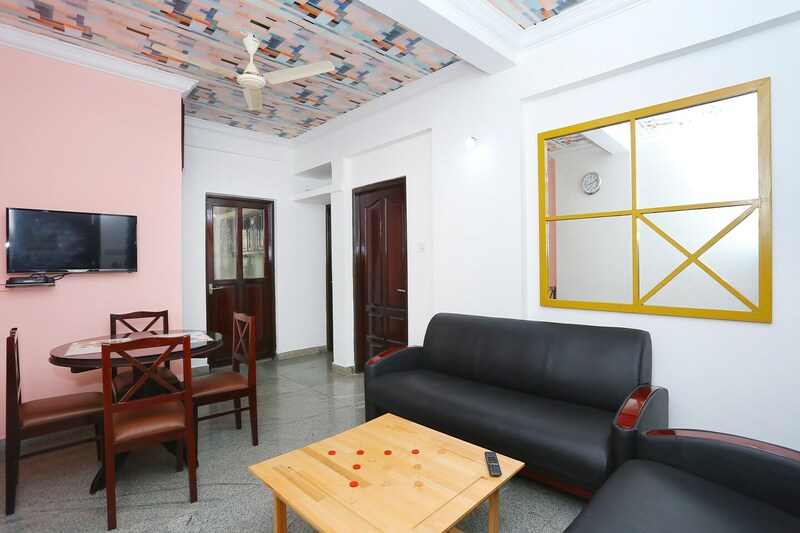 Home Cozy 2BHK is a cosy and colourful homestay situated in a locality close to the Periyar riverbank. Each room sports a different hue that gives it a unique feel. Wooden storage and stylish curtains add to the cool quotient of the rooms.The property is equipped with CCTV cameras while power backup and a parking facility ensure an unruffled stay. Cook some comfort food in the kitchen and enjoy it while watching your favourite tv programmes. The refrigerator makes it easy to plan for the next meal as well. And if youre in a mood to order some delicious food, then the Kerala Kitchen nearby serves some authentic cuisines of the state.